Oliver Zaugg has never been a time trial specialist and this proved to be costly for the Swiss climber in the Tour of Austria. 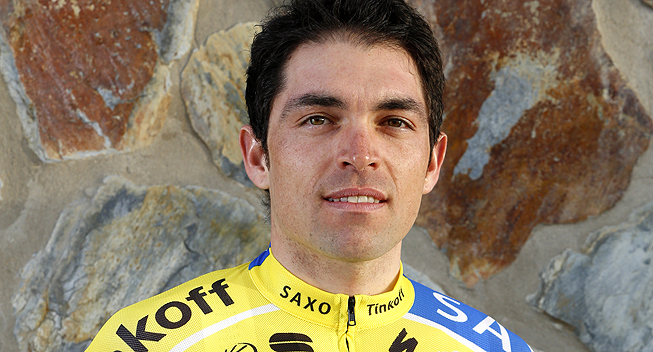 In stage 7, he dropped from 3rd to 7th in the overall standings. Tinkoff-Saxo have had a brilliant Tour of Austria so far counting yesterday’s magnificent stage win by Evgeny Petrov and Oliver Zaugg’s overall third position. The riders were challenged with a 24.1 kilometer long and completely flat individual time trial in and around Podersdorf Am See. A discipline and a terrain that suit our Swiss climber poorly. “Considering the terrain and the length of the time trial, Oliver did a good job. He dropped to seventh position overall but they are very close in the GC. I don’t expect any changes in the GC tomorrow, as we’re heading towards Vienna for a bunch sprint on the final stage”, said DS, Tristan Hoffman. The stage was won by Kristoff Vandewalle (Trek) while Peter Kennaugh (Sky) still leads overall by more than a minute down to second place.